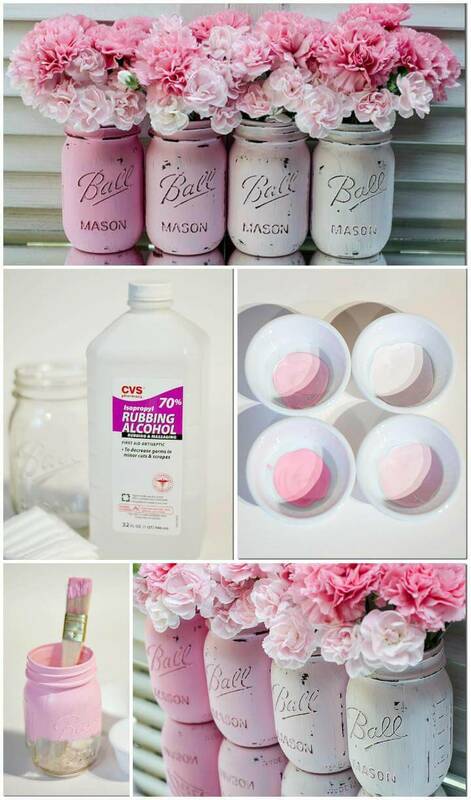 A well embellished, styled and decorated house is the dream of every homey person. 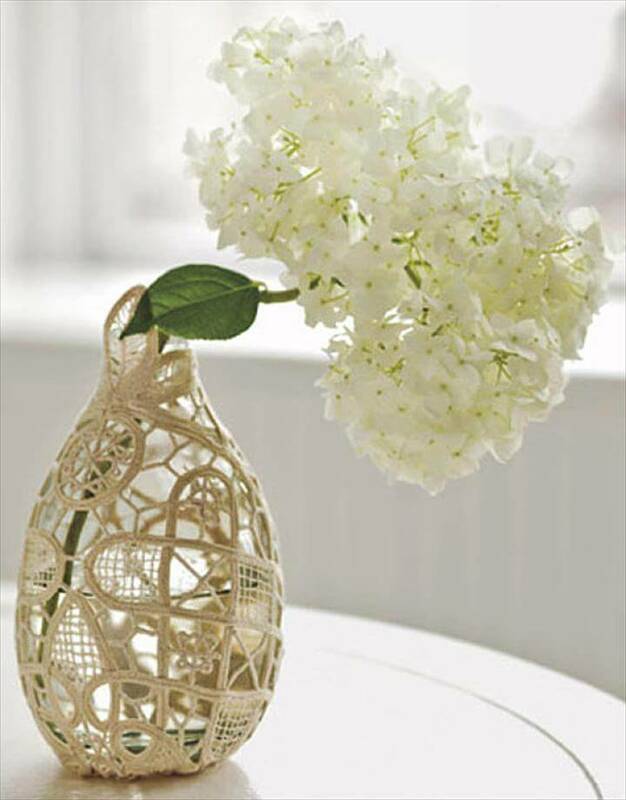 A gorgeously designed and ornamented house gives instant happy vibes to you and to every commoner. 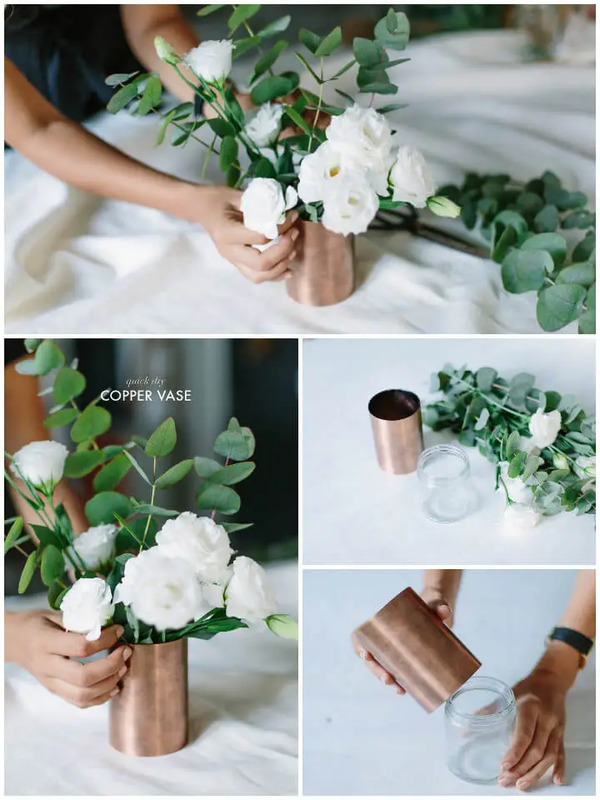 And there is a big list of the decorous things and embellishing items which contribute much of their parts to make our house look an exquisite piece of land and vases are one of them. 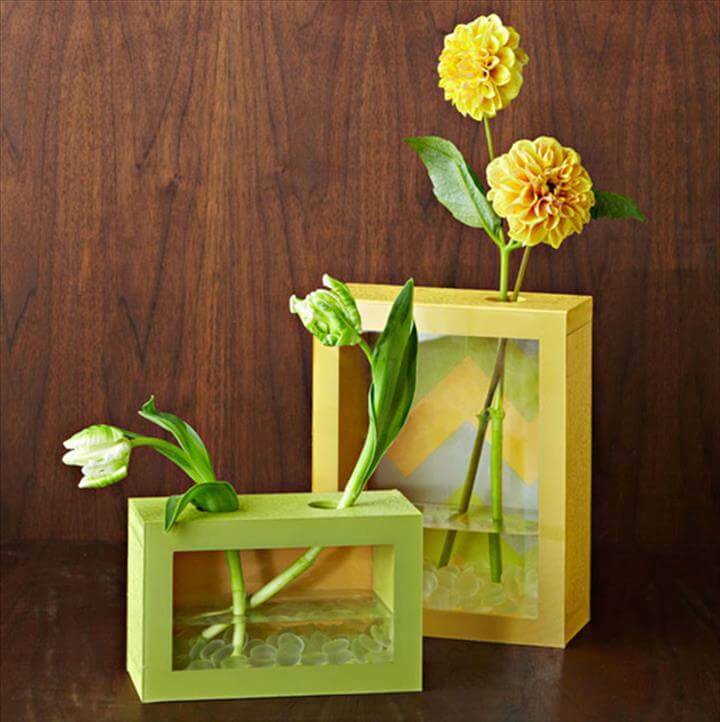 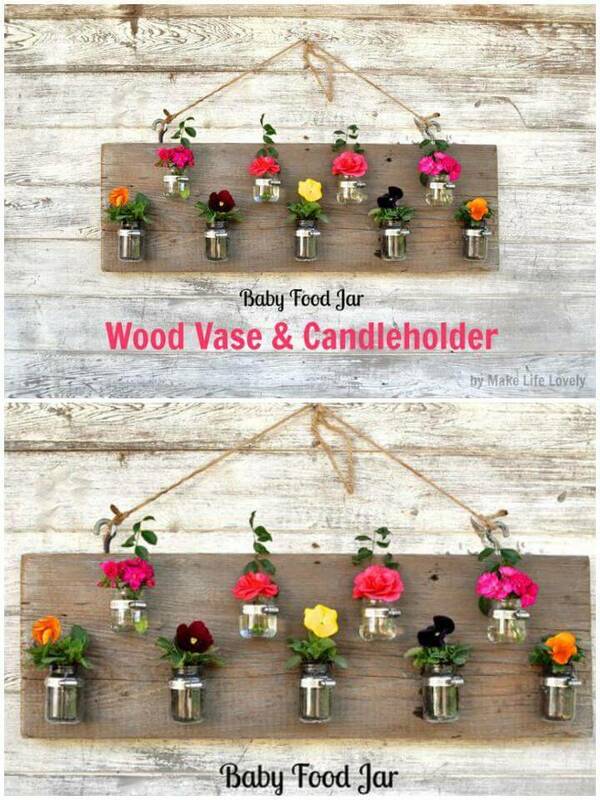 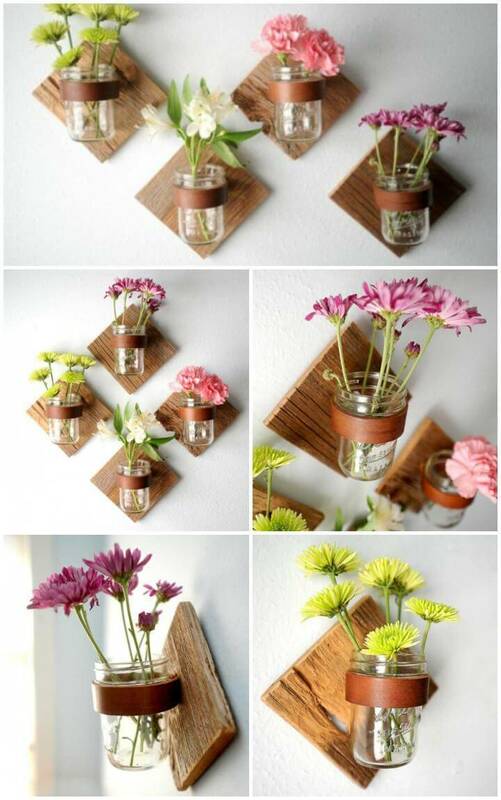 Lovely vases holding beautiful flowers in them are the cutest things adding much beauty to almost every homey section. 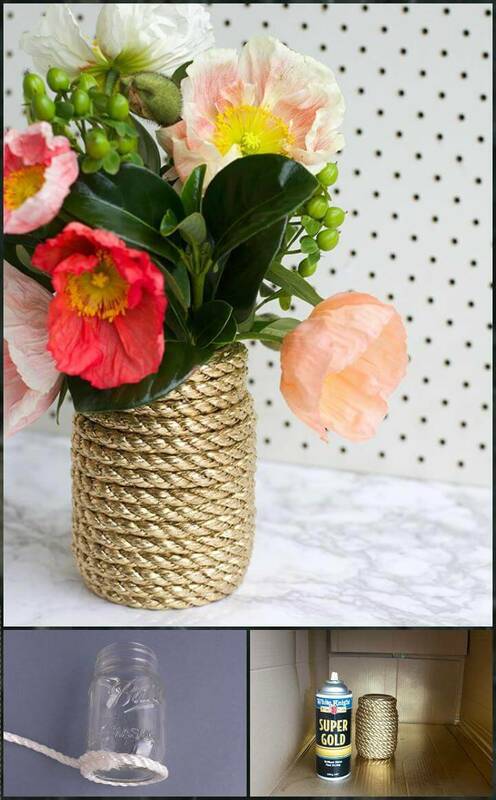 Shelves, mantles, and tables are undone with their beauty and decor if they are not awarded a classy piece of the vase on them. 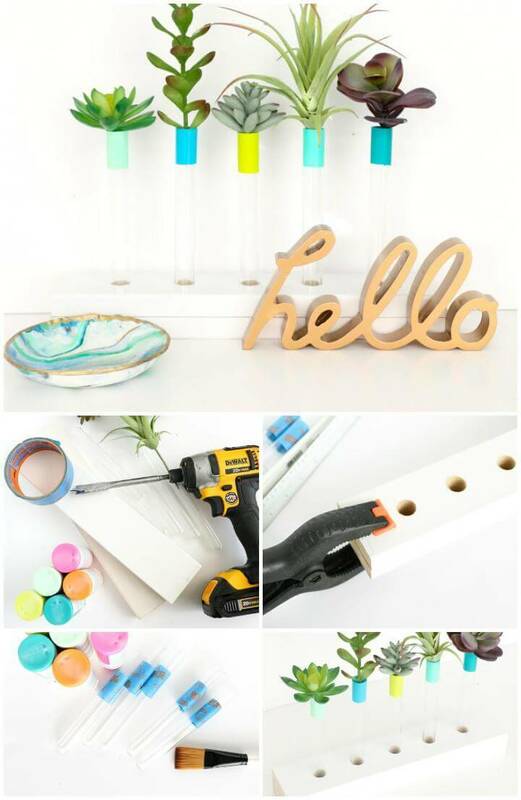 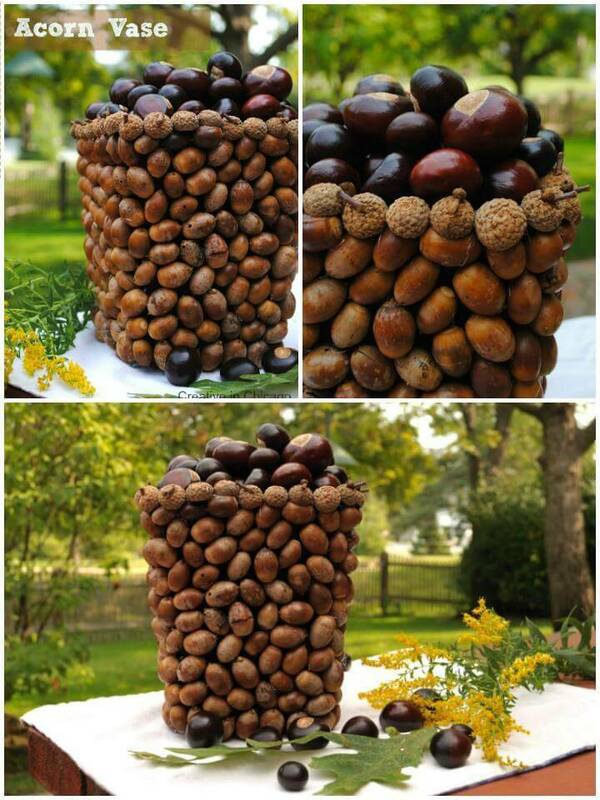 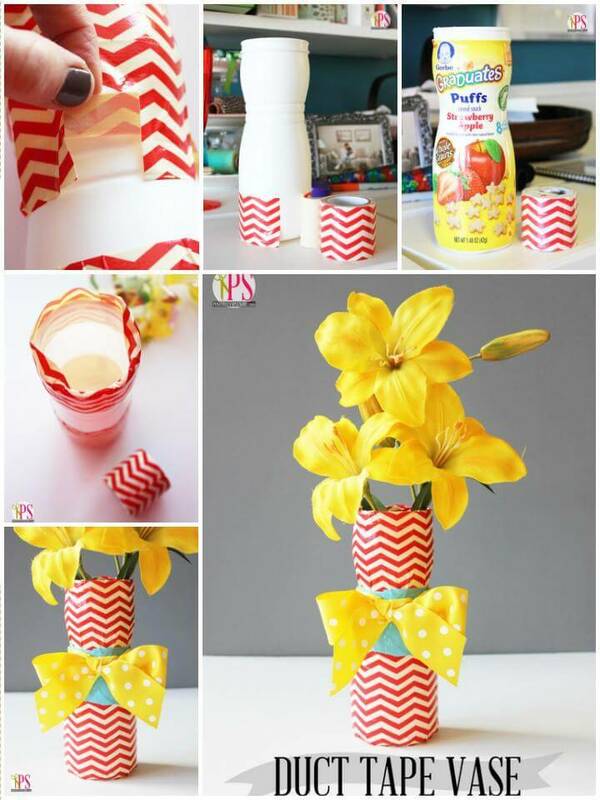 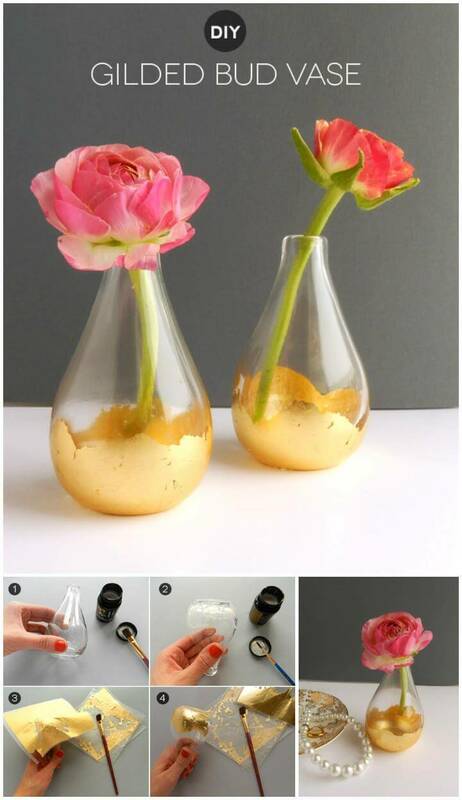 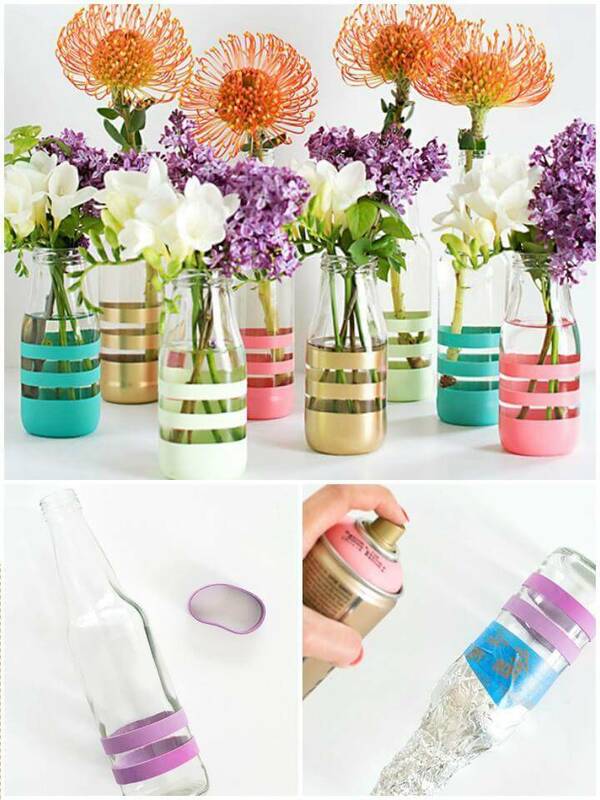 So to let you cherish the most unique and most trendy type of DIY vases we have these 100 DIY vases or centerpiece that you can make yourself at home and save much of your cost on the expensive market bought vases.This giant size collection of the vase ideas would suggest you a bundle of smart tricks that you can use to restyle your old vases or you can craft vases yourself from the feasibly available supplies. 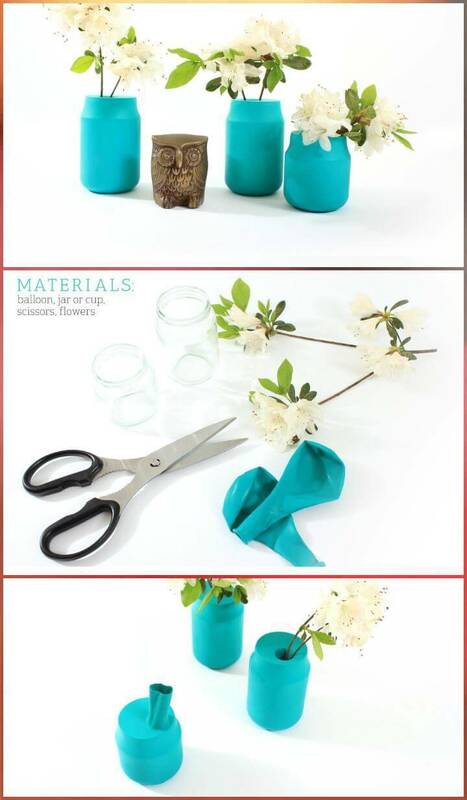 On every formal or informal event, we make decoration arrangements and vases are an integral part of this task be it a festive dinner, a baby shower party or even a small catch up of friends.Especially in the spring season, the lovely fresh flowers are great to bring some natural vibes into your home sweet home.Take out all those vases that are resting in your cabinets as with the help of these 100 DIY vases you can lend them a whole new look to get them matched with your lavish home style.there are immense items present in your house to act as vases like old mason jars, beverage bottles, any food container or cracked crockery items like glasses, bowls and saucers. 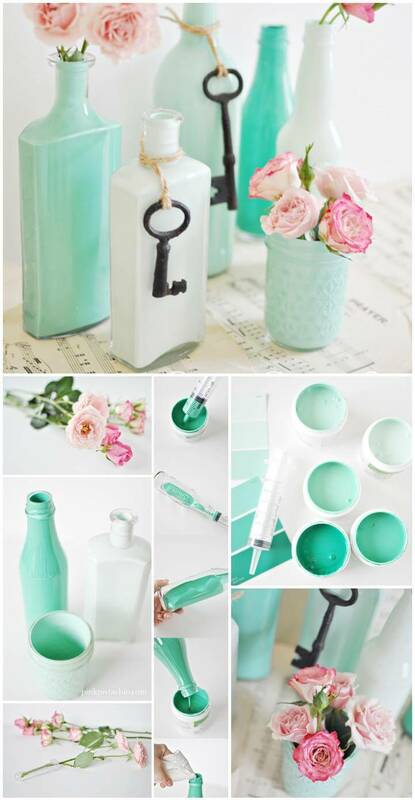 The first clever way to renew your dull vases is painting them in gorgeous hues, adjusting them to the color scheme of your interior style. 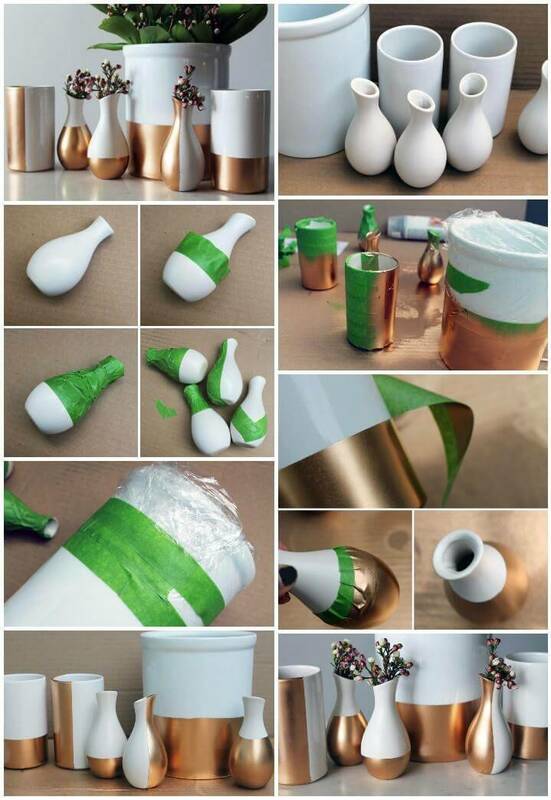 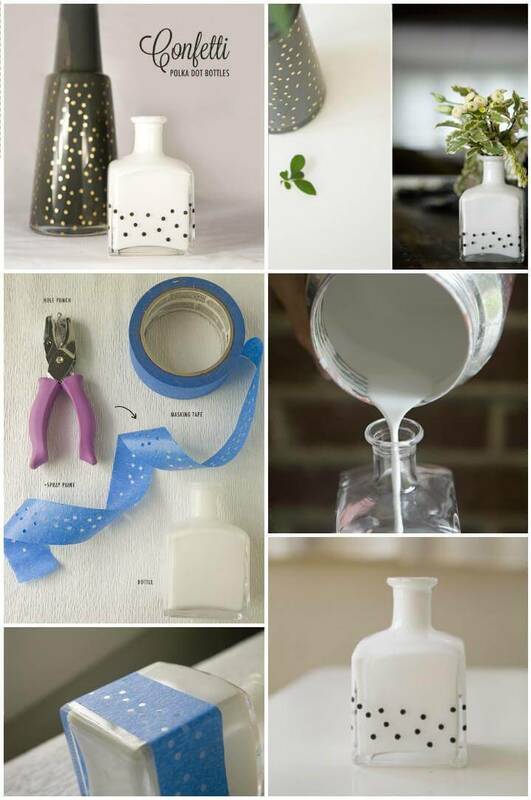 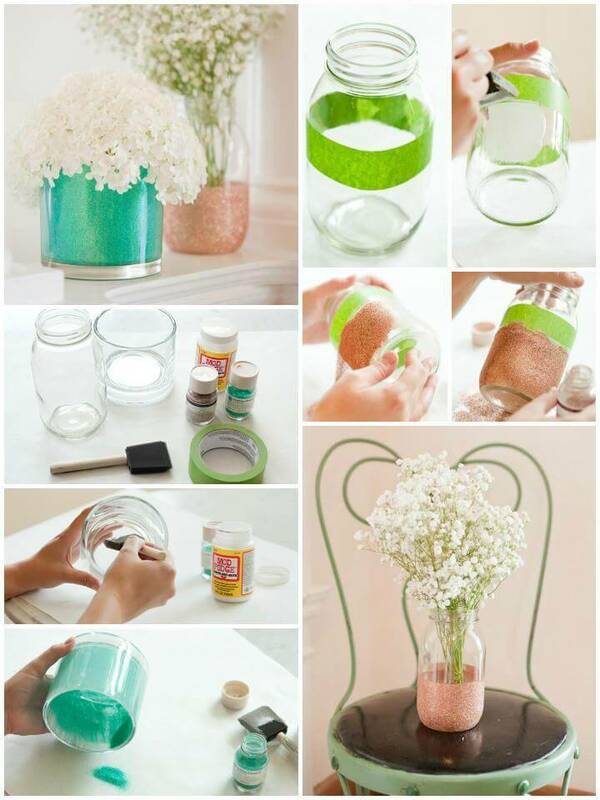 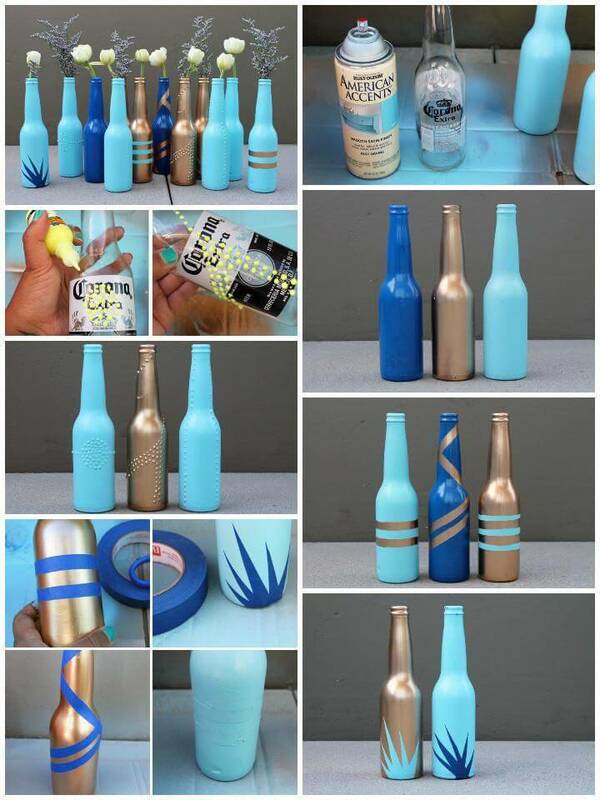 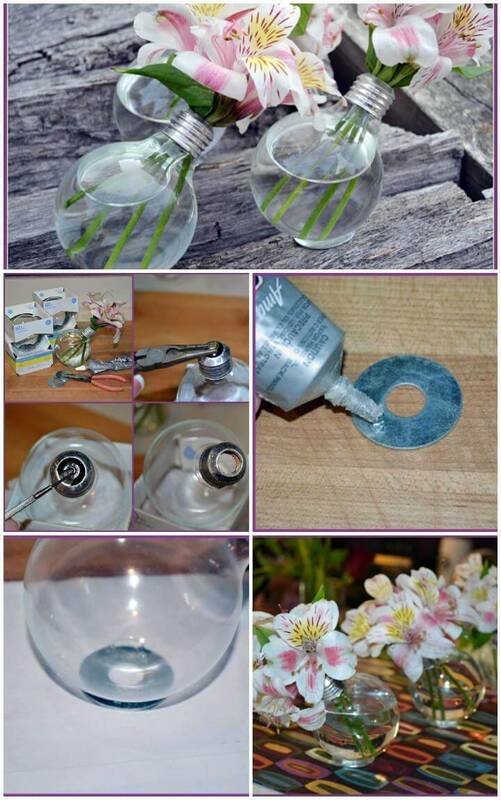 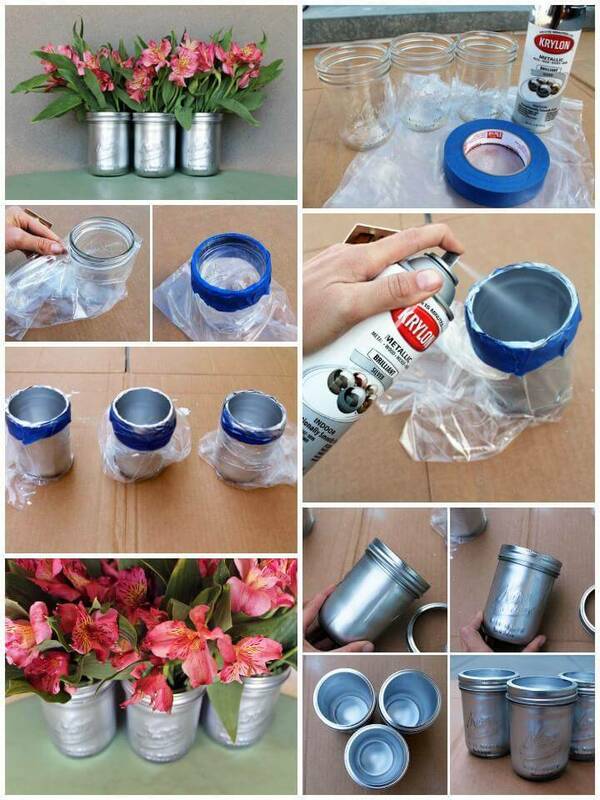 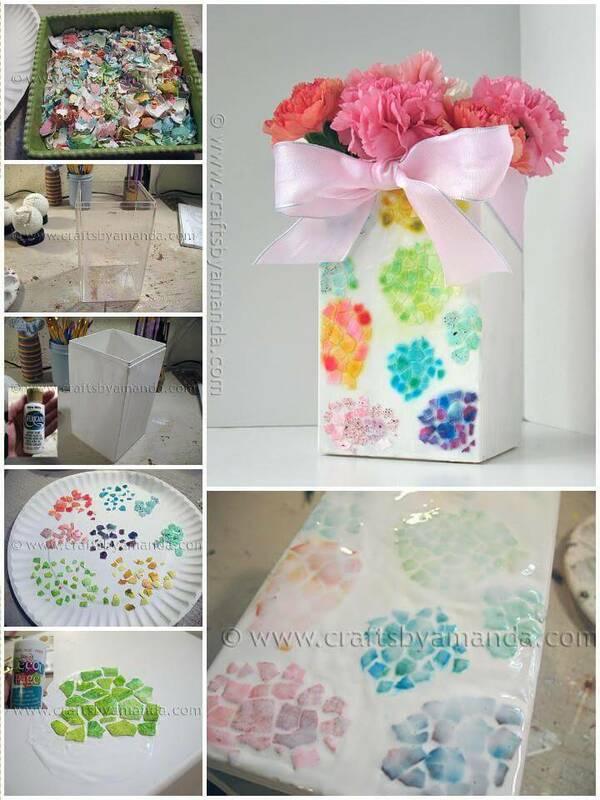 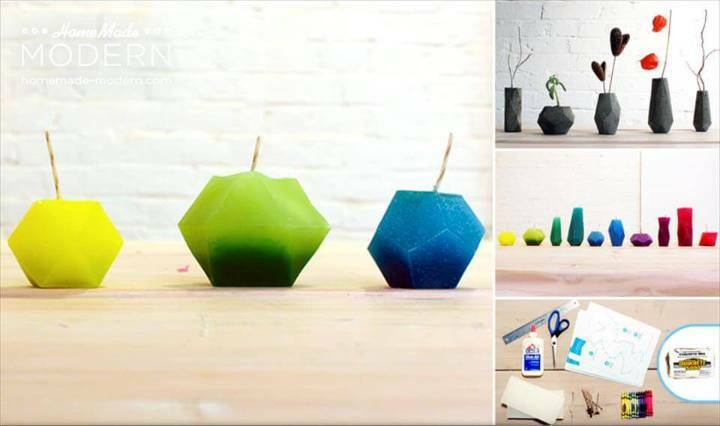 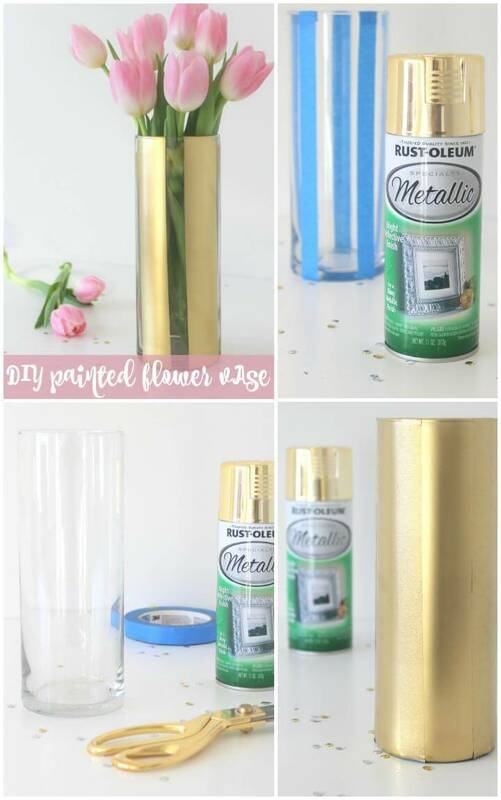 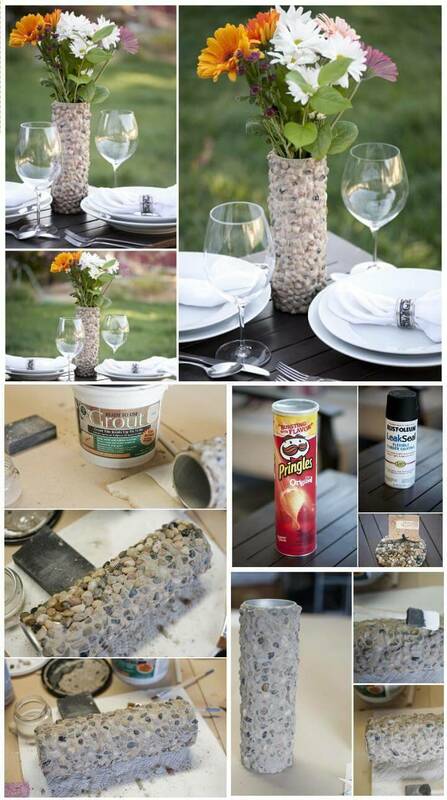 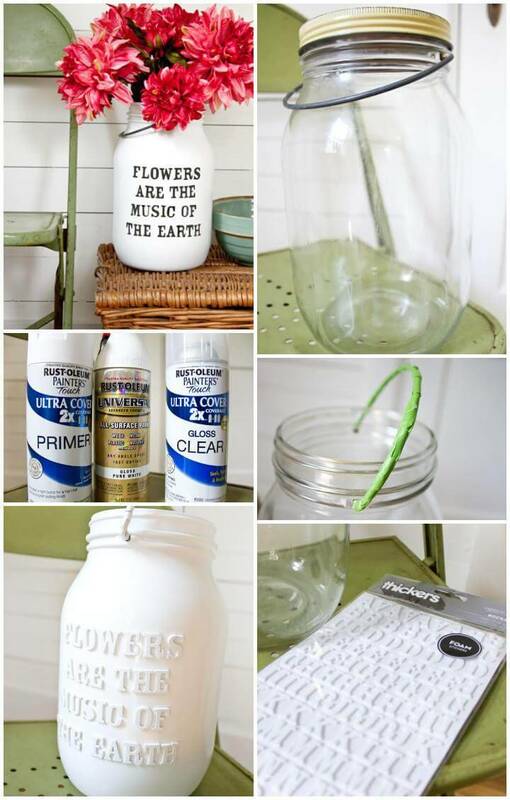 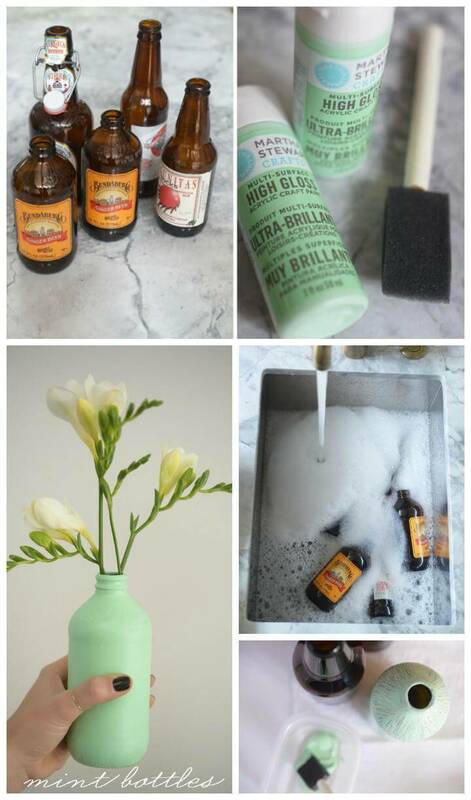 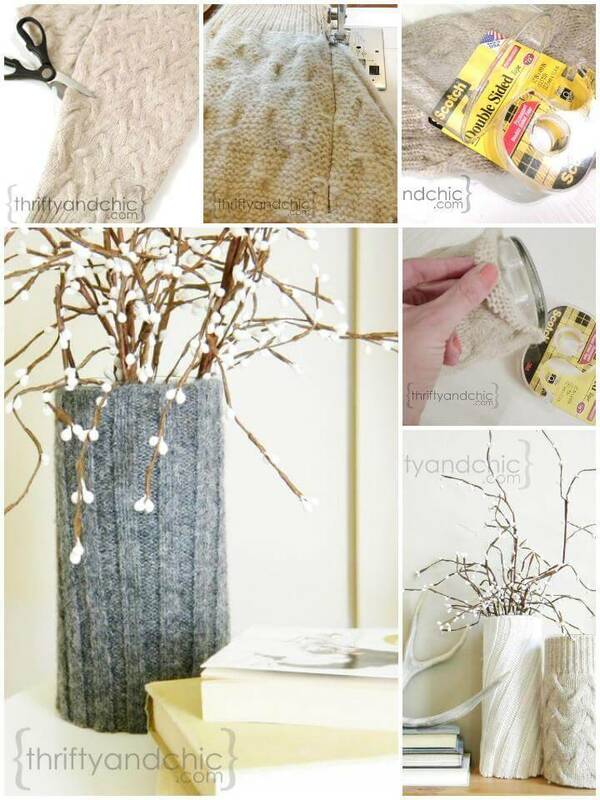 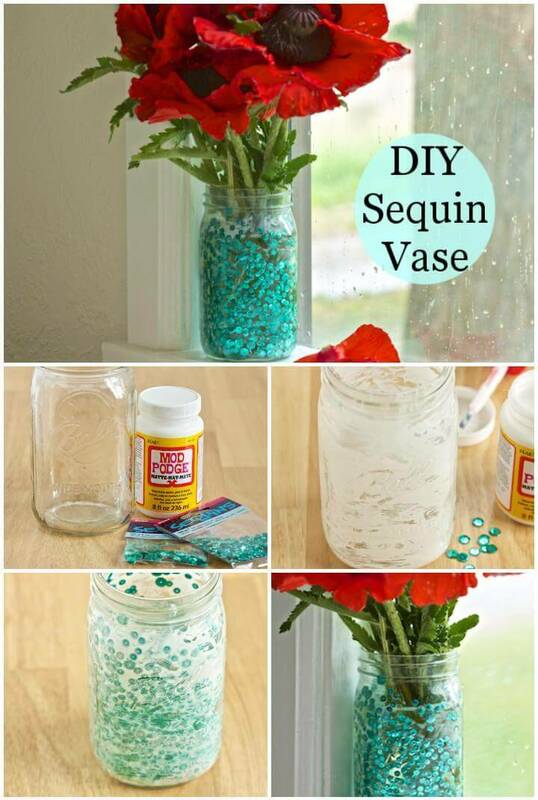 Spray paint with glitter or dip paint are more convenient ways to get your vases painted than using a brush paint method. 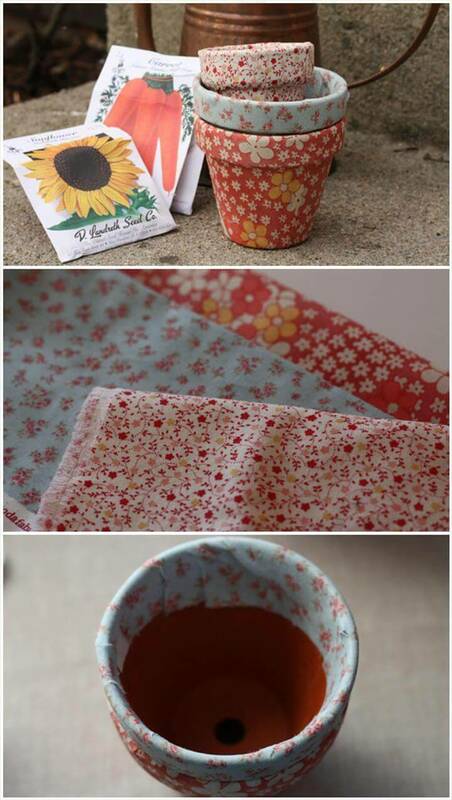 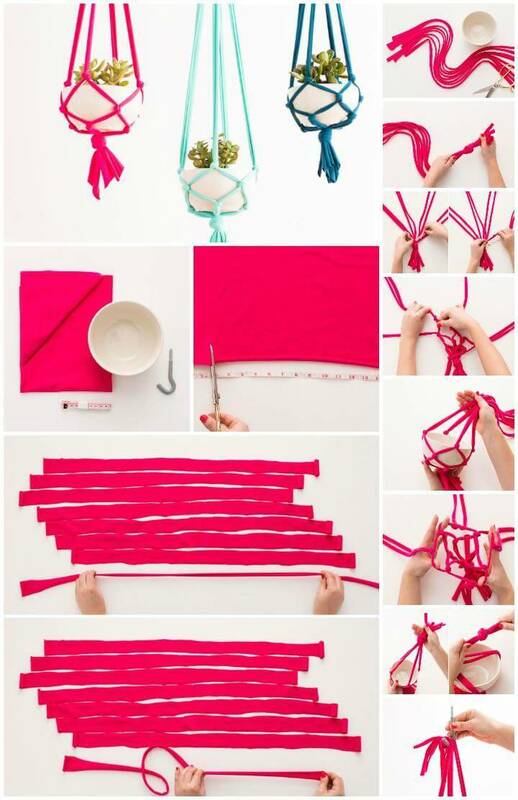 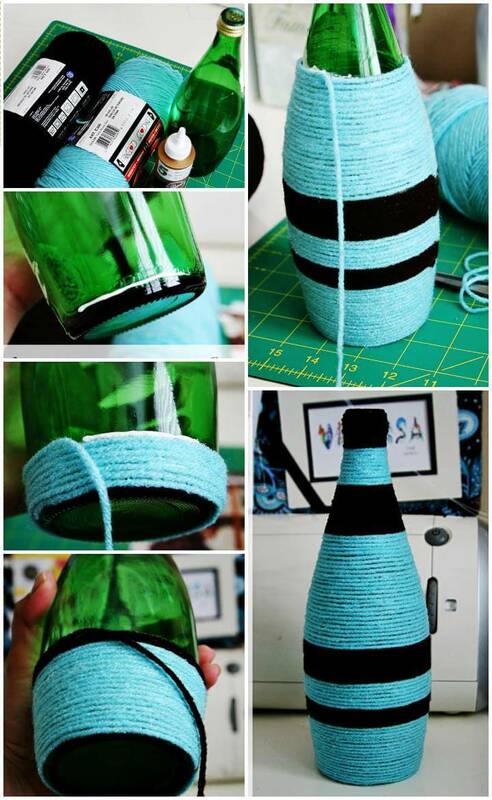 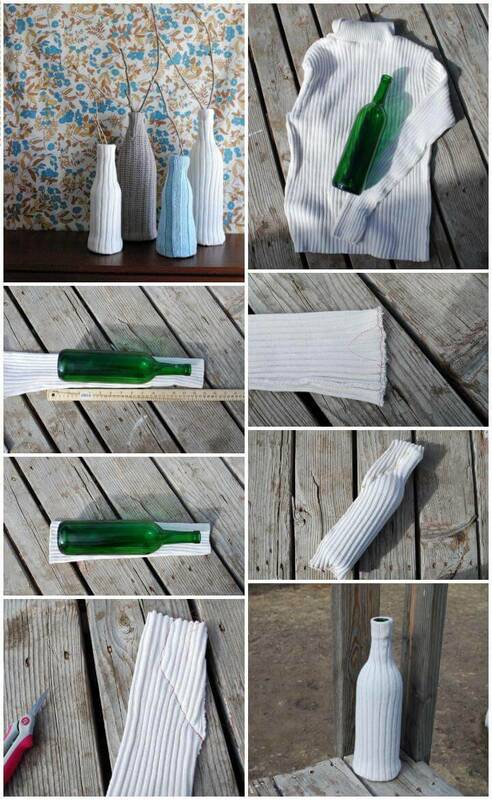 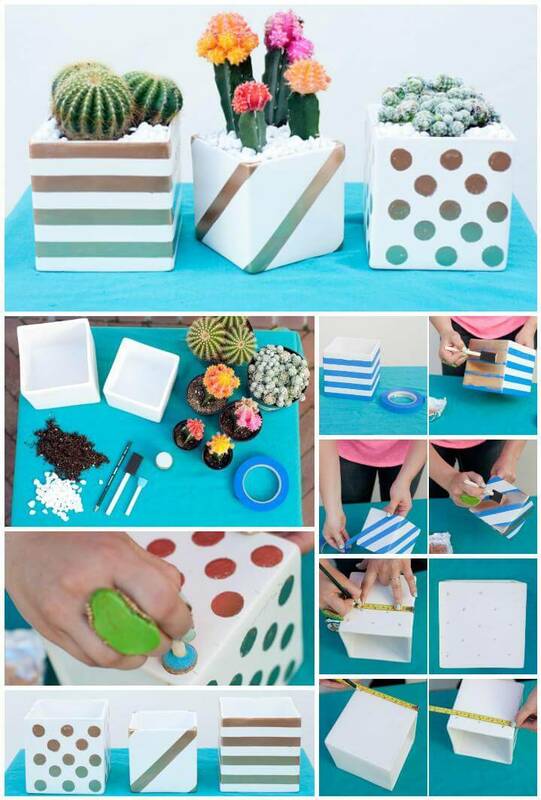 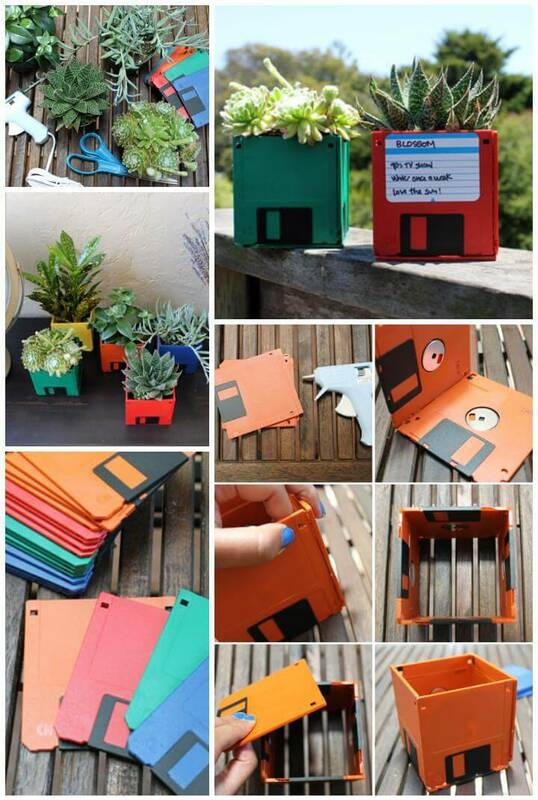 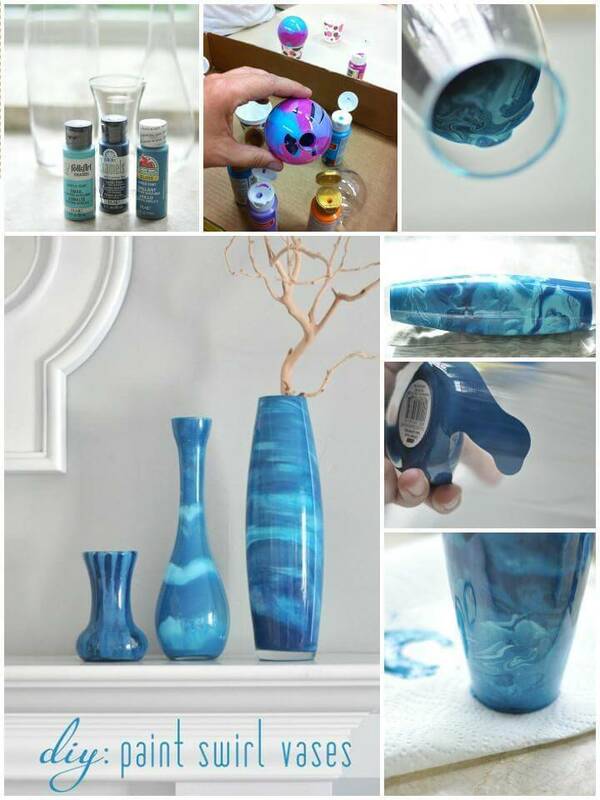 Secondly, you can wrap or cover them with various fun items and make them look hugely innovative and one of a kind. 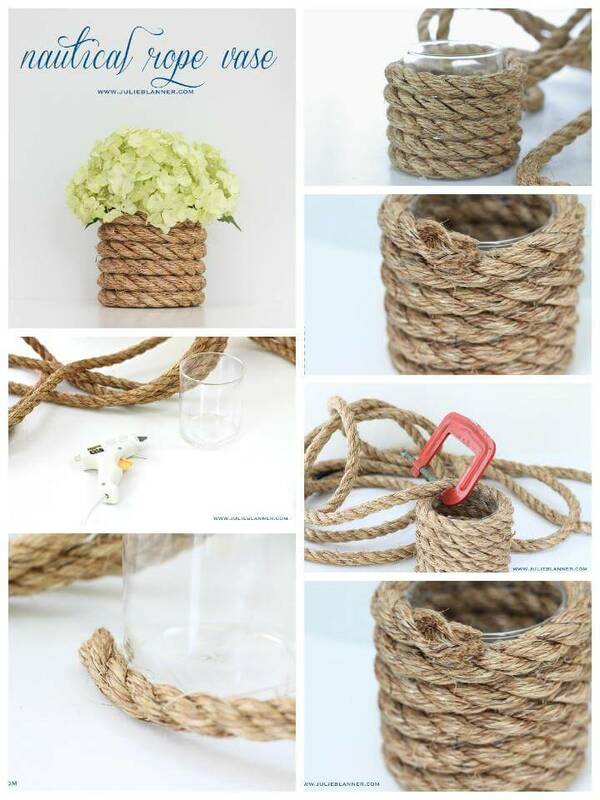 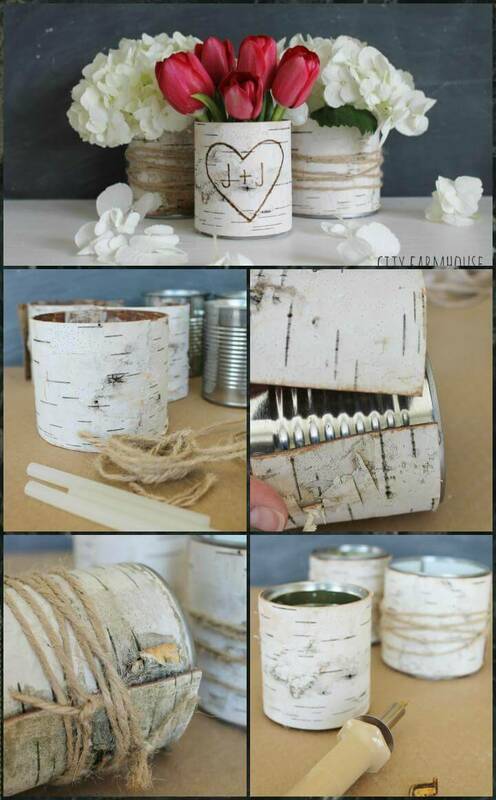 Wooden pieces, chunks and twigs and on the other hand twine, ropes, burlap are super easy and cheap things to use for the wrap-up seasons. 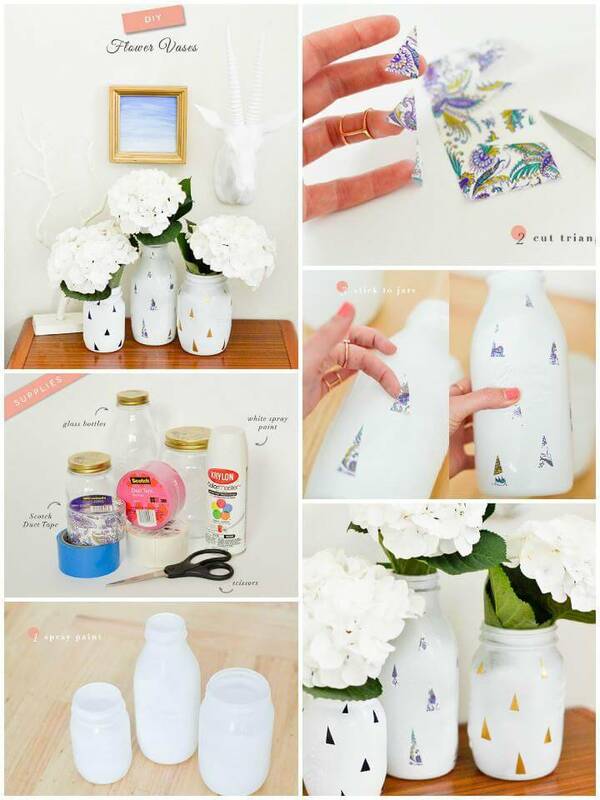 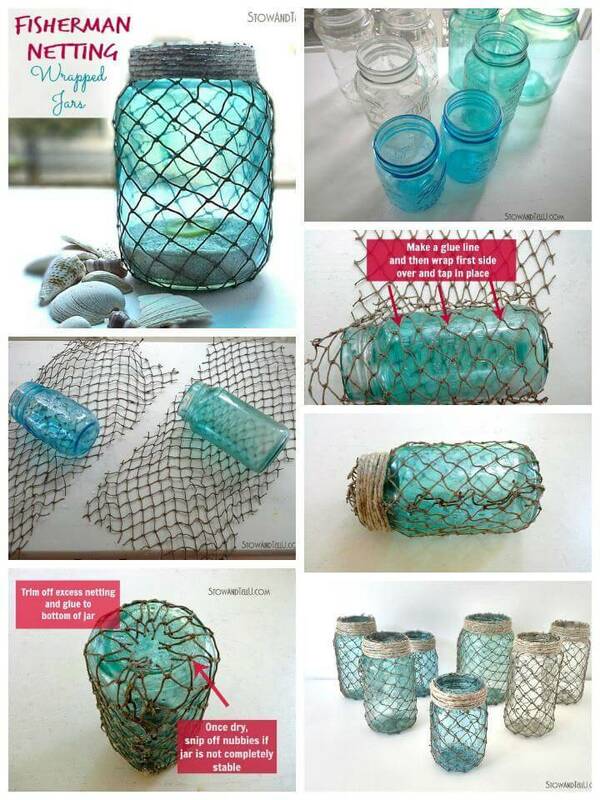 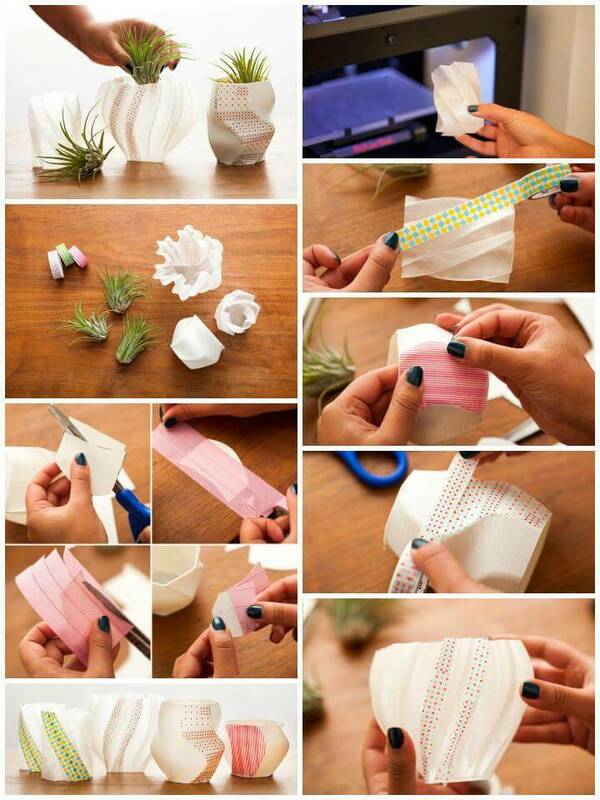 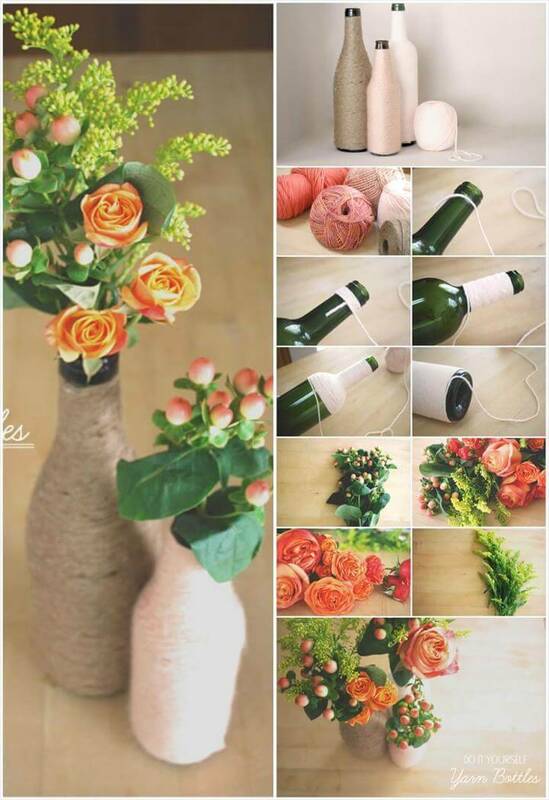 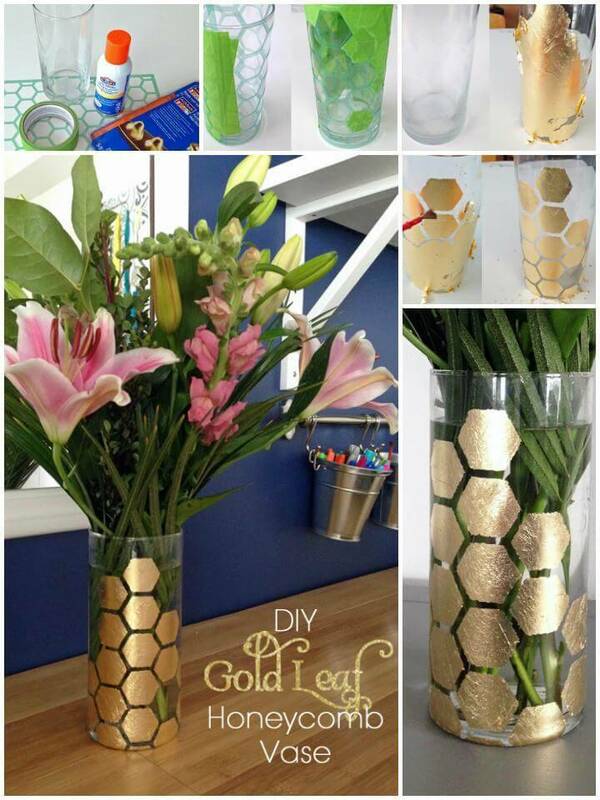 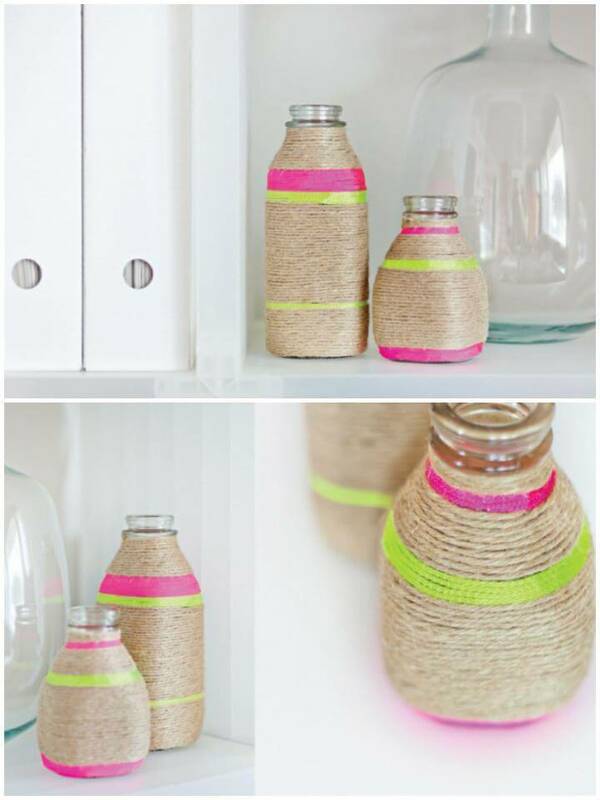 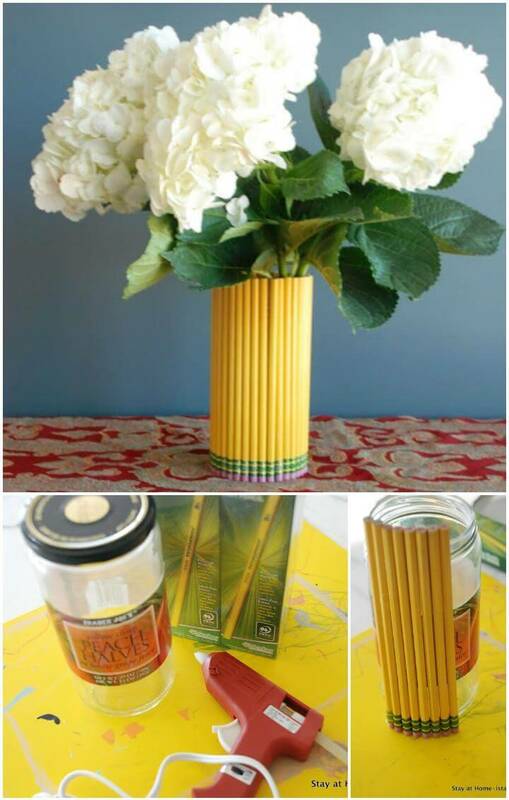 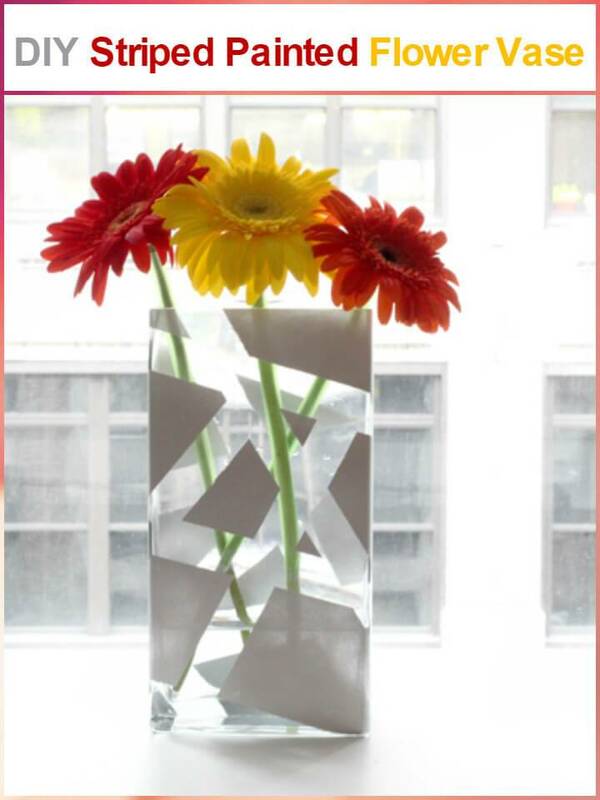 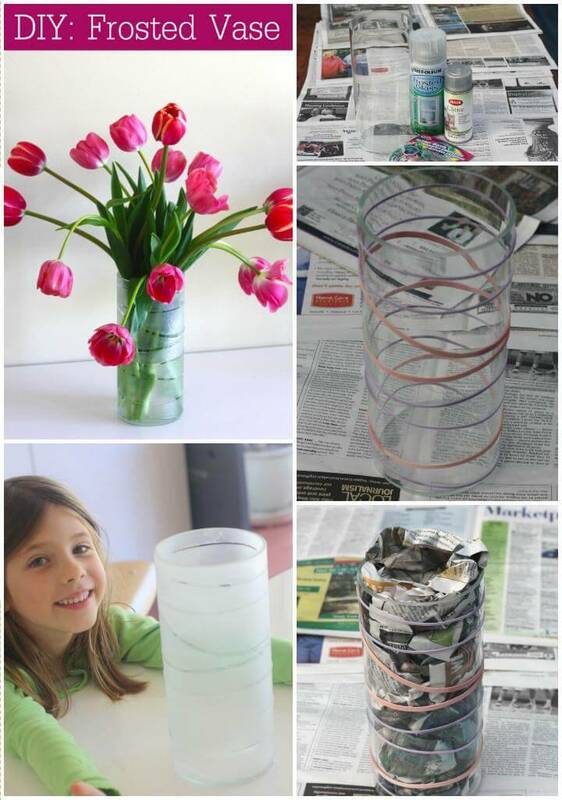 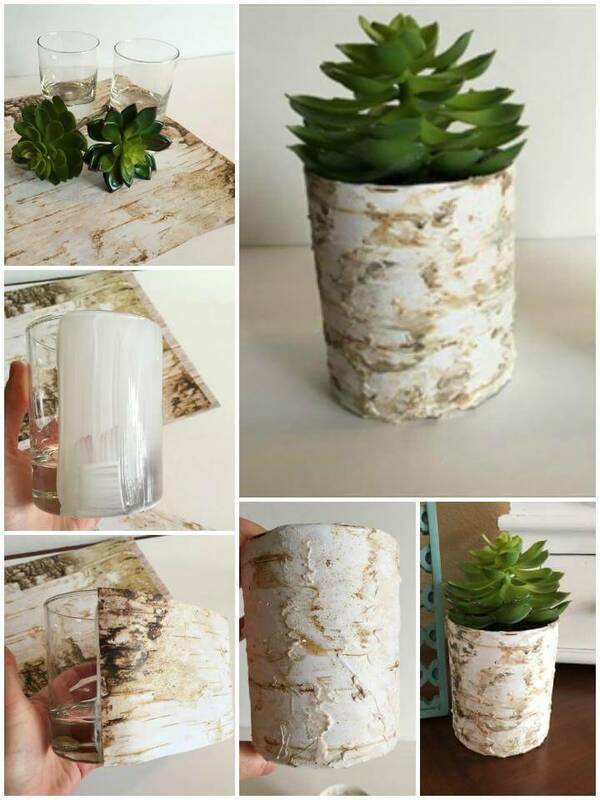 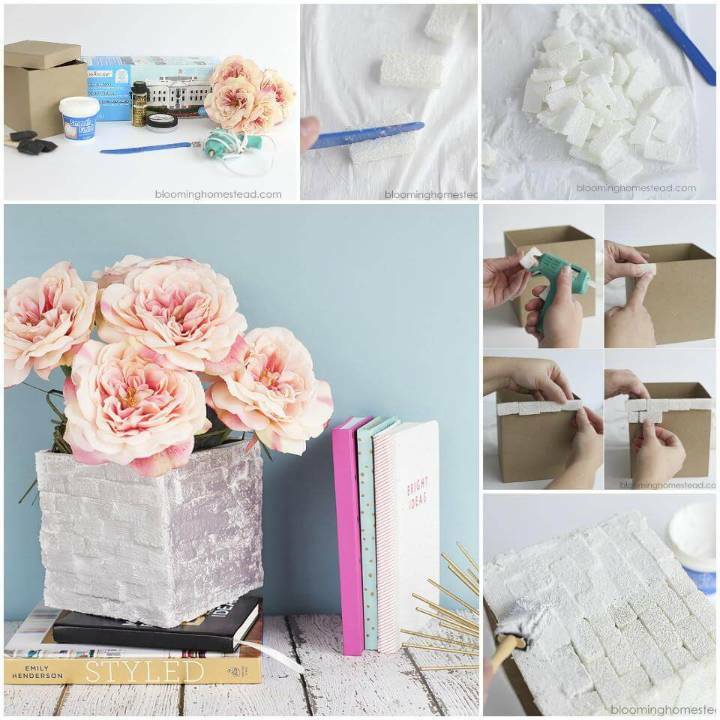 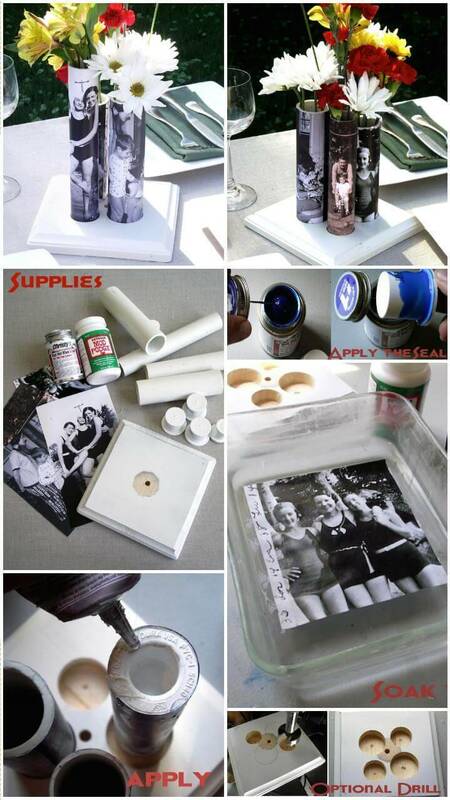 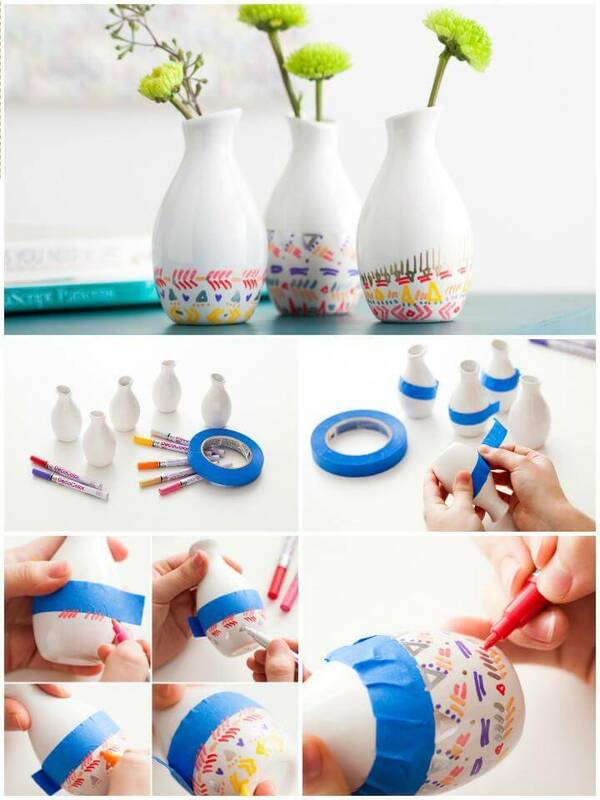 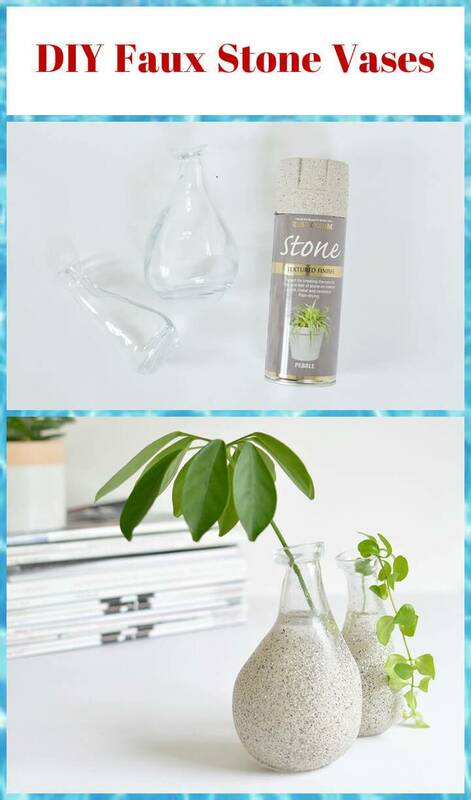 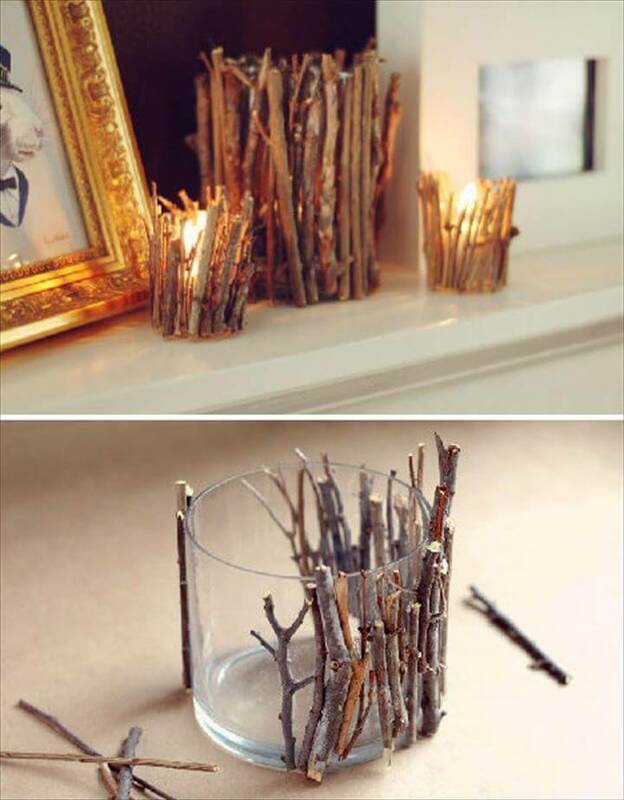 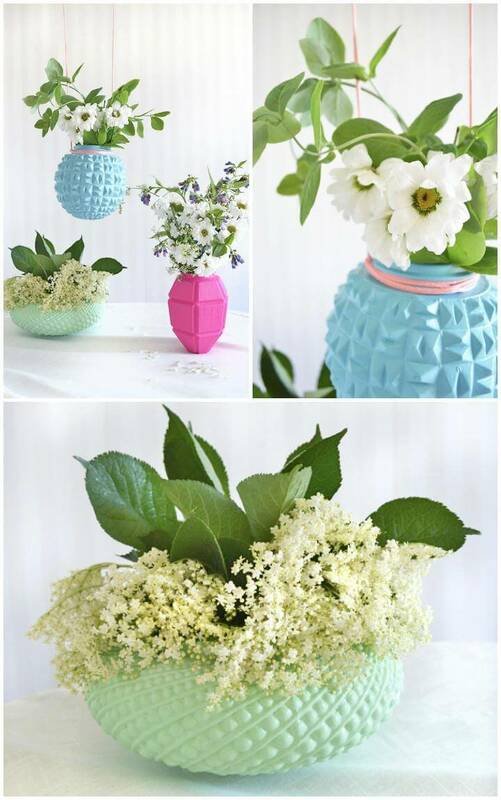 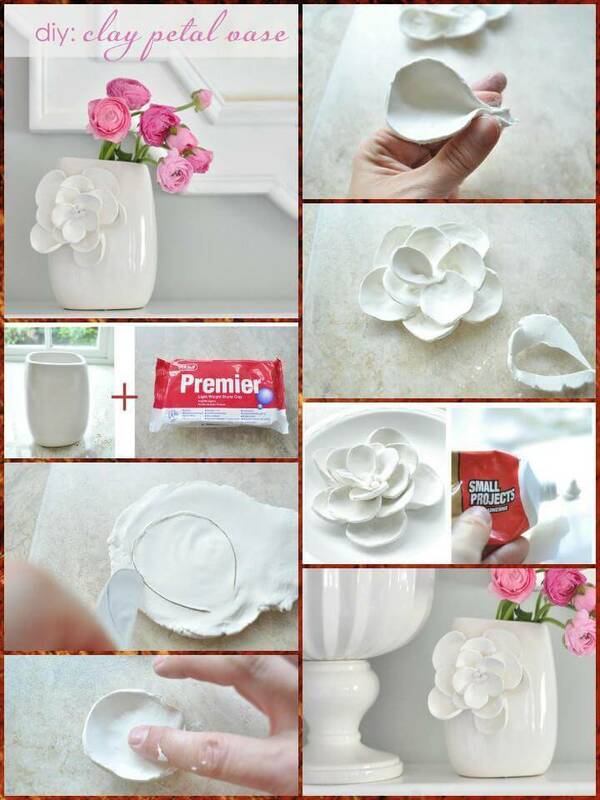 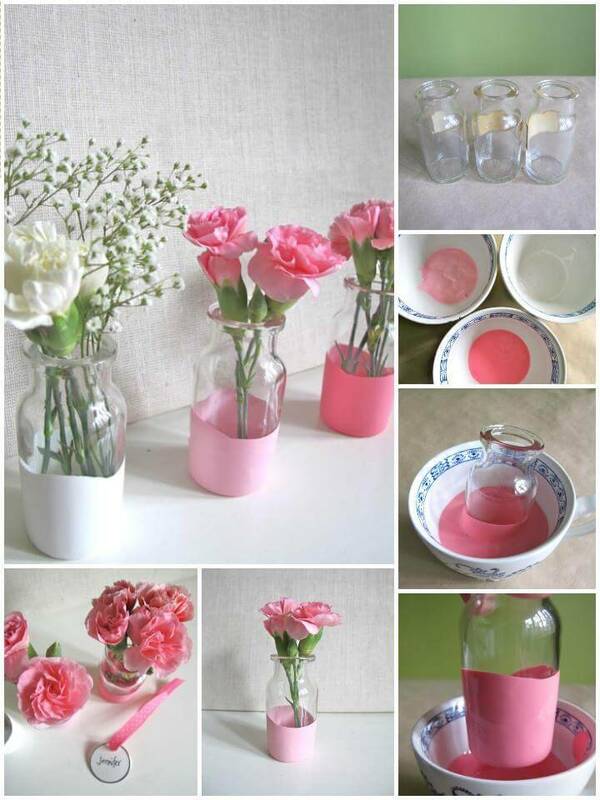 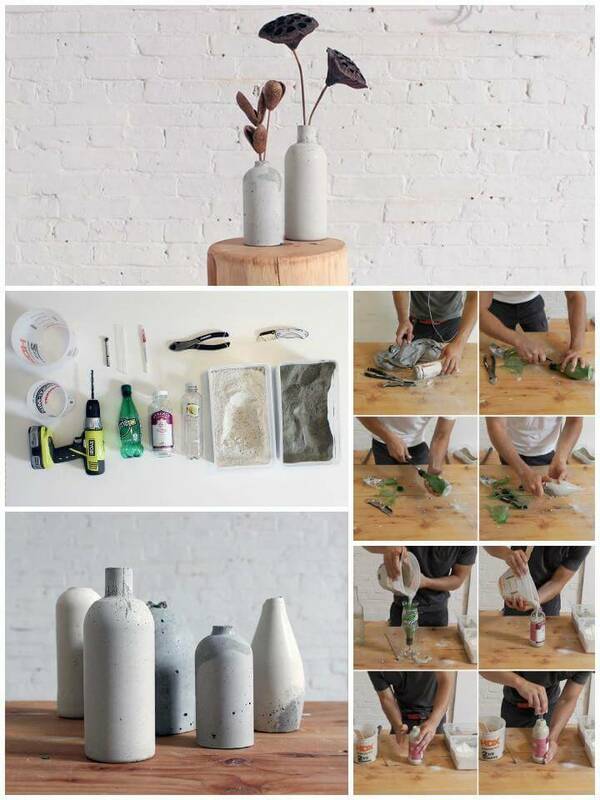 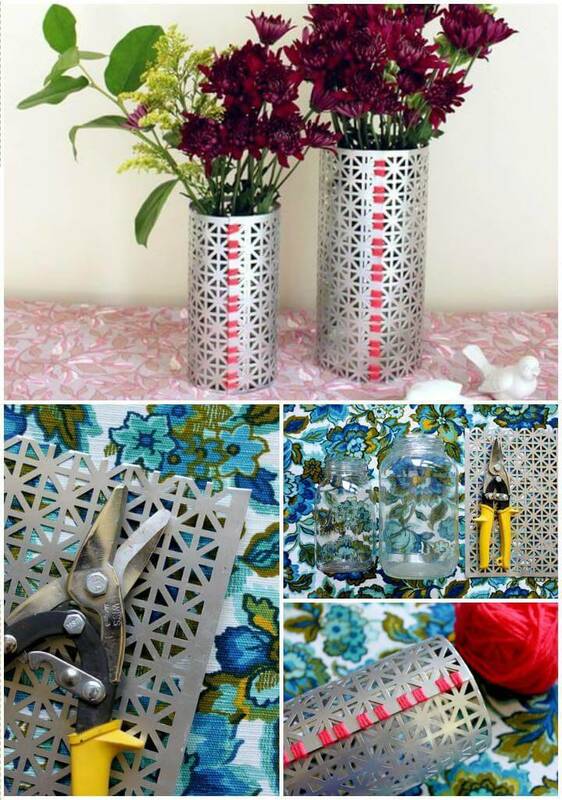 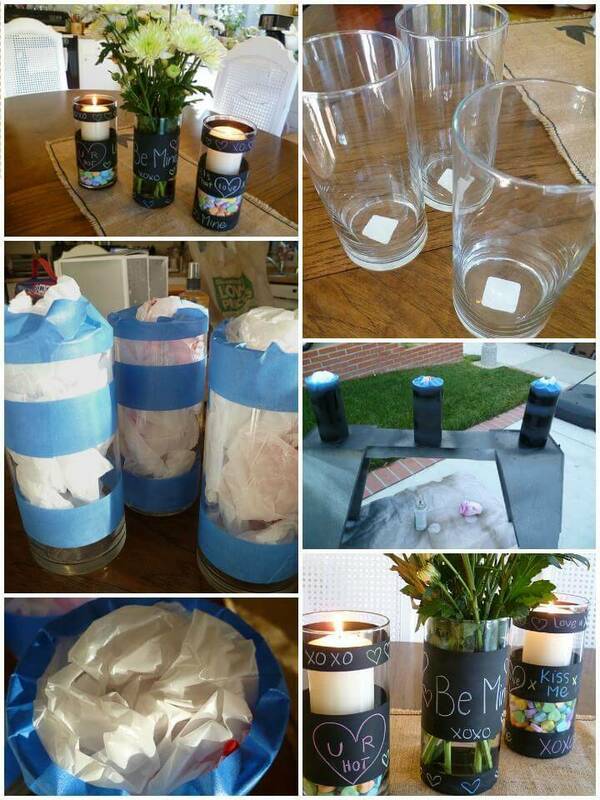 Last but not the least you can make completely new and personalized vases from papers, bricks, plastic scrap, tape, old CDs and DVDs etc. 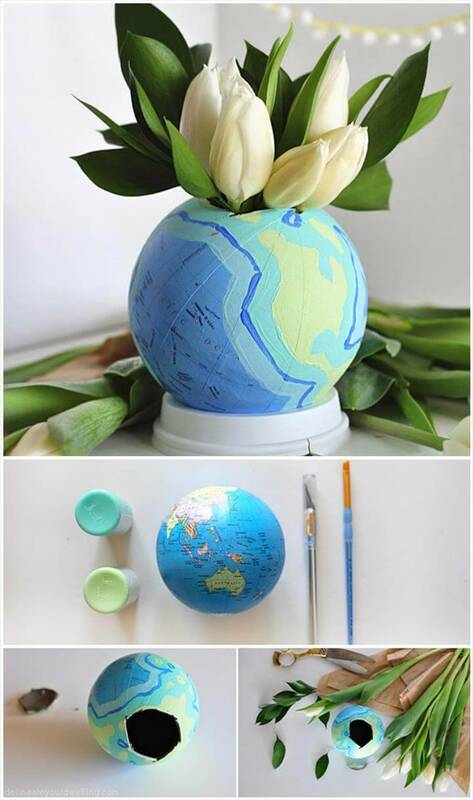 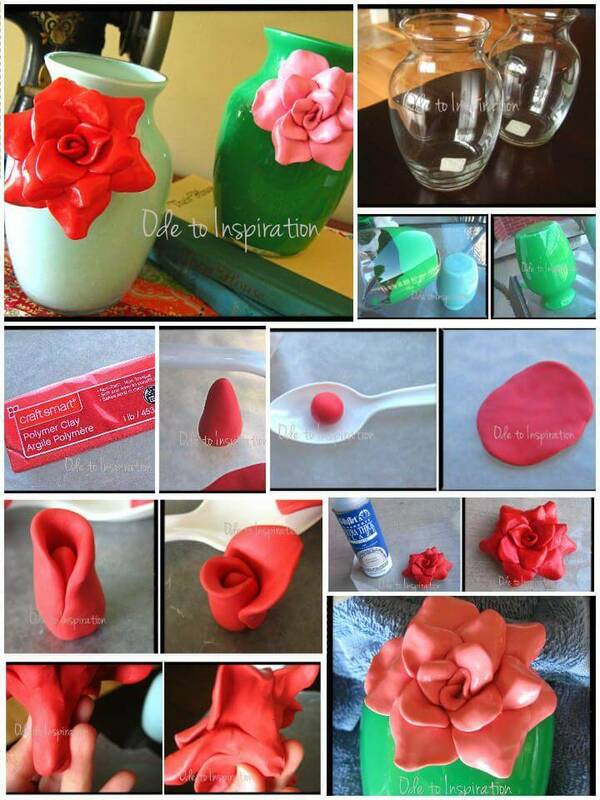 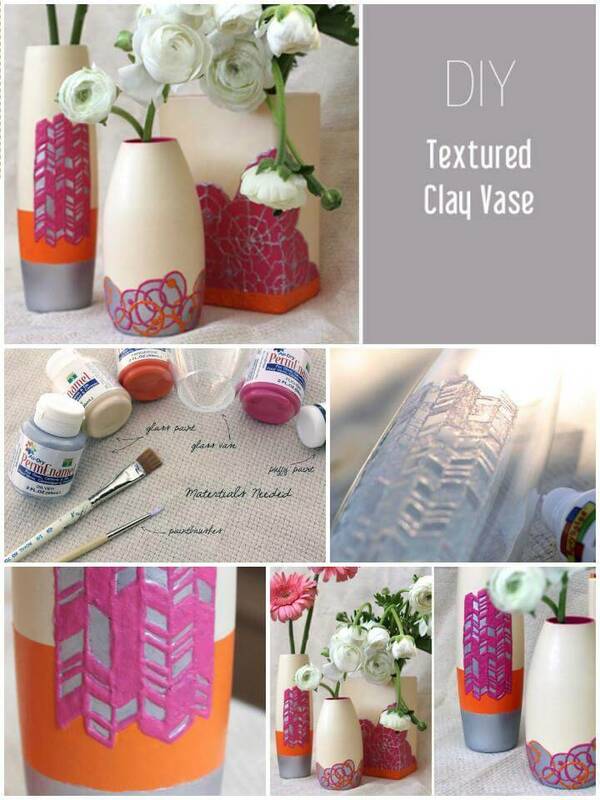 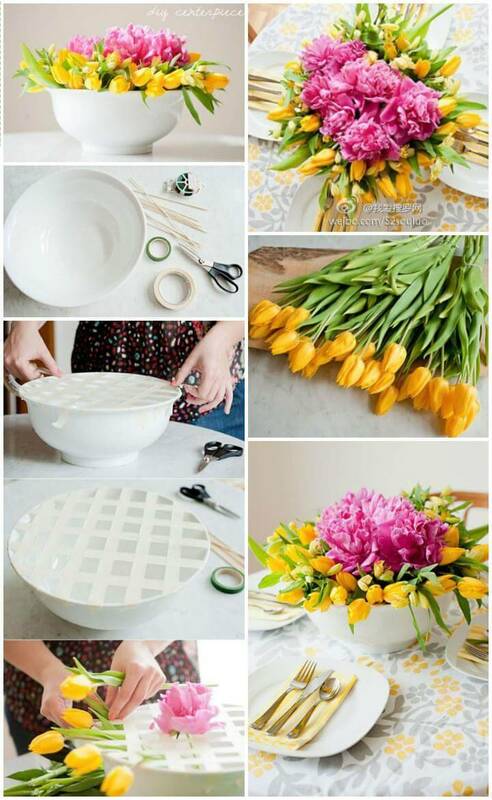 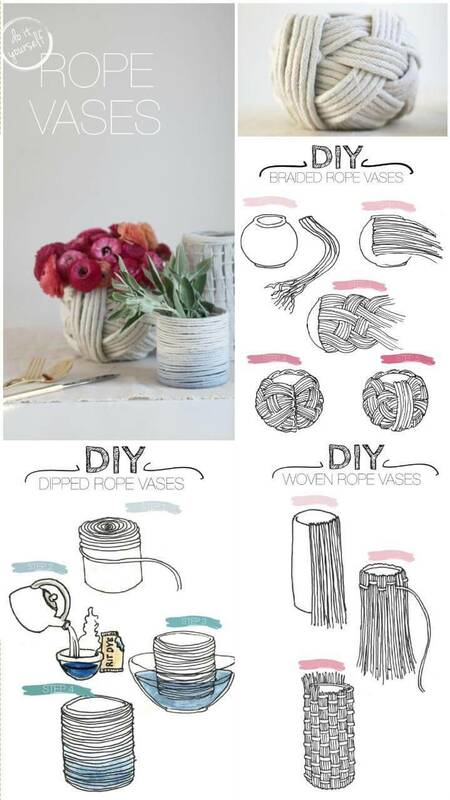 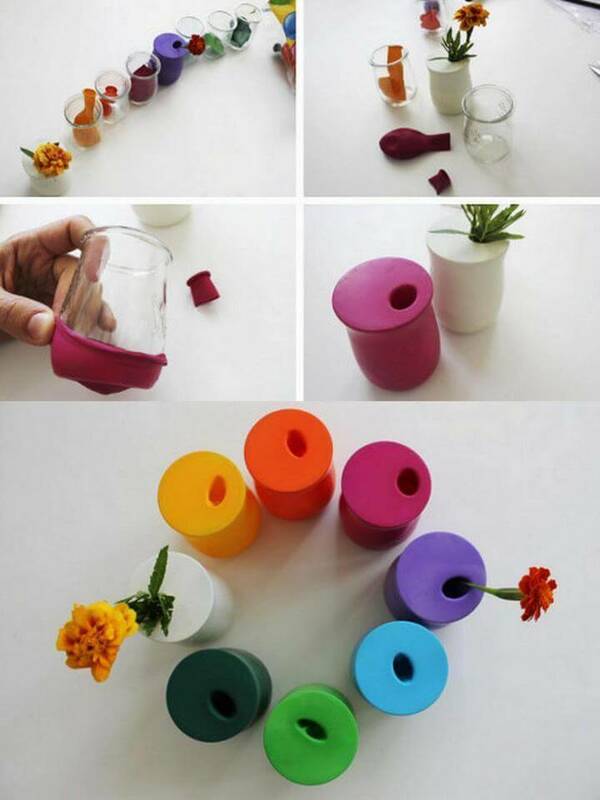 just get along with each idea and click on the links below to get tutorials guidance and get your hands dirty with the favorite vase plans.